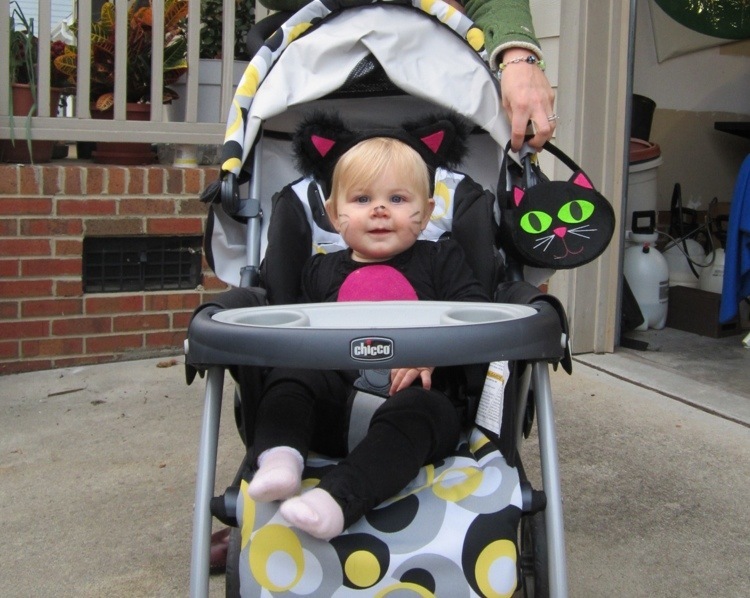 So, as you all know, yesterday was Halloween and thus, the Littlest Brewster’s first Halloween. So of course I had to dress her up. We only got to hit up one house for treats since we went out at 6, but it was our awesome neighbors Bill and Sherry, so that was okay. They even got LB a Halloween banana like I had asked, since we’re not giving her any ridiculously processed crap candy for as long as possible. 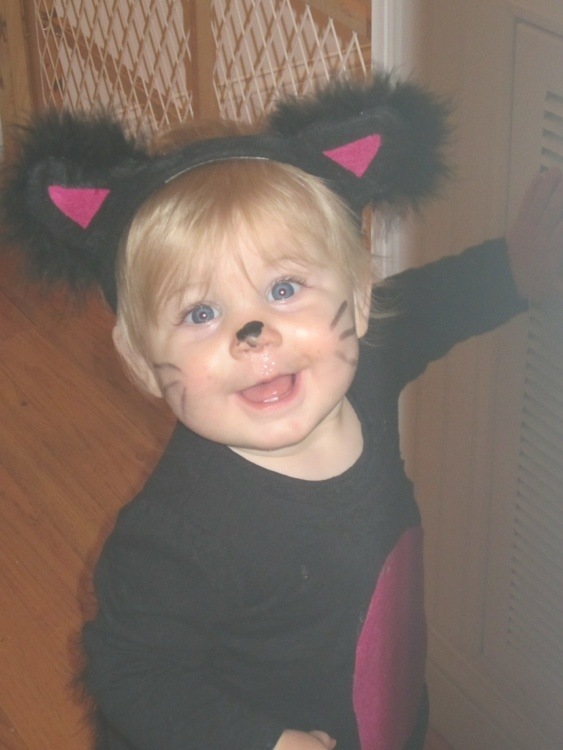 This entry was posted in Babies, Home Life and tagged Halloween, LB by BrewsterMama. Bookmark the permalink. My little adorable kitty! 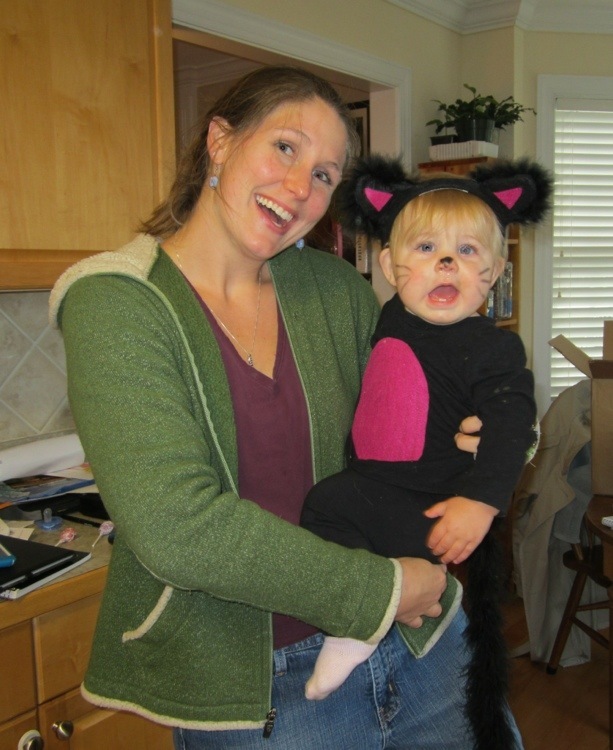 You did a GREAT job on the costume, Kristen! !